Here is what they look like before they go on the floor cleaner (front and back). 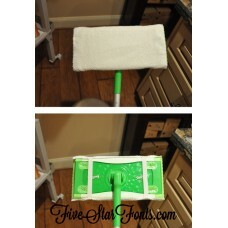 These 'green' reusable and washable floor duster-cleaning pad covers fit the most popular floor sweeper whose head measures 4.50" wide by 10" long. Oh and did I mention they are reversible so you get 2 cleanings in one cover! I think this in the hoop design will be one of my NEW Favorites. Perfect for House Warming gifts, Christmas Stocking Stuffers, Craft Shows, gift giving, etc. Who doesn't own the little floor sweeper! Fun, SUPER Fast and Easy, perfect for those new to in the hoop or for the seasoned pro. ** Made completely in the hoop in just 1 hooping. Super simple and fast to make. ** Inexpensive to create. 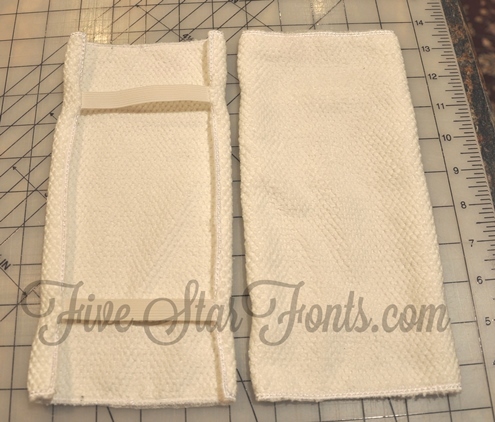 I used microfiber towels I already had on hand. 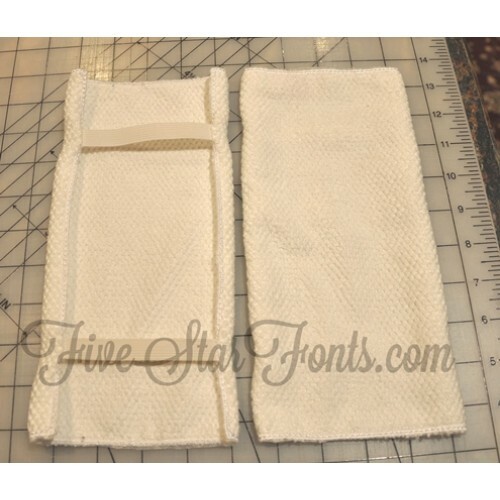 Plus you can find nice microfiber towels at most dollar stores. ** Reusable - make a few and throw them in the washer/dryer when they get dirty. 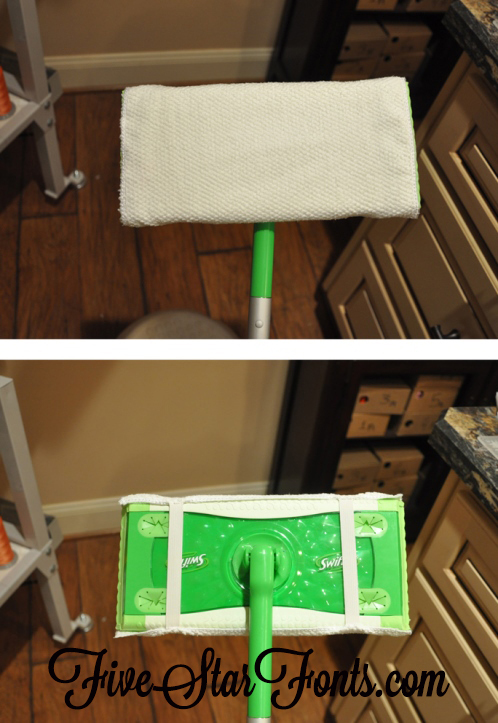 No more buying those expensive floor cleaning covers! ** Made with elastic bands so they stay put on the cleaning head. Yes, the elastic is sewn completely in the hoop. ** Reversible so you get 2 cleaning cloths in one. ** Fits the most popular floor sweeper that measures 4.50" x 10".